Deputy Foreign Minister says no one in the coalition or opposition has a reason to want elections at the present time. 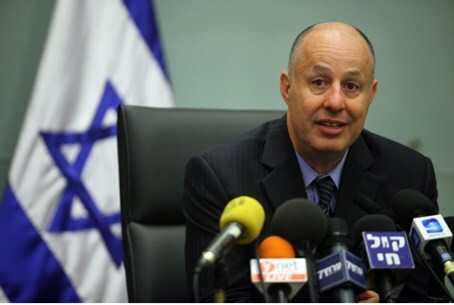 Deputy Foreign Minister Tzahi Hanegbi (Likud) on Sunday ruled out the possibility that elections will be held within the coming year. Speaking to the Knesset Channel, Hanegbi pointed out that the elections are currently scheduled for November 2017. “They will likely be held before that for a variety of reasons”, he added, but it will not be in the coming year. "I do not currently see any member of either the opposition or the coalition having an interest in elections so they will not be held this year - not in 2014 and not at the beginning of 2015," said Hanegbi. There has been tension among the members of the coalition in recent weeks, leading to speculation by some that elections are imminent. Prime Minister Binyamin Netanyahu and Finance Minister Yair Lapid had several disagreements, most recently revolving the 2015 state budget and Lapid’s 0% VAT law, which Netanyahu has tried to shelve. Those tensions flared again several days ago, when Channel 2 published a report saying that Lapid had been attempting to assemble his own coalition - possibly due to frustrations over the languishing 0% VAT law. The tensions in the coalitions do not end there, however, as a new crisis now appears to be brewing over the Jewish State bill. Right-wing coalition members were furious Sunday at both Hatnua and Yesh Atid for opposing the bill, in what they claim is a flagrant breach of previous coalition agreements. Last month it was speculated that Netanyahu is preparing for elections in the spring, after he unexpectedly decided to drop his support for the Conversion Bill. Earlier Sunday, Lapid also ruled out the possibility of elections in the coming year, saying the idea was “a very bad” one.